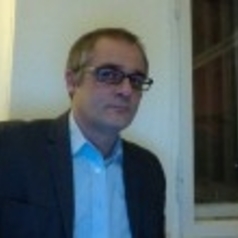 Matteo Valleriani is Senior Research Fellow and Research Group Leader in Dept. I, Structural Changes in Systems of Knowledge. In his research, he investigates processes of emergence of scientific knowledge in relation to its practical, social, and institutional dimensions. In this context, and in reference to the early modern period, his major projects have been dedicated to Galileo’s science (Galileo Engineer, Springer, 2010) and to Nicolò Tartaglia’s ballistics (Metallurgy, Ballistics and Epistemic Instruments: The “Nova Scientia” of Nicolò Tartaglia. A New Edition, Edition Open Access, 2013). Affiliated to the Excellence Cluster Topoi, he investigated the emergence of hydromechanics in classical antiquity (Hydrostatics and Pneumatics in Antiquity, in G. L. Irby (ed. ), A Companion to Science, Technology, and Medicine in Ancient Greece and Rome, Wiley-Blackwell, 2016). Matteo Valleriani worked on the processes of the appropriation of ancient science during the early modern period. He edited an issue of Nuncius (Appropriation and Transformation of Ancient Science, Nuncius, 29, 2014), which contains his final contribution to the study of the appropriation of ancient pneumatics through early modern garden technology (Ancient Pneumatics Transformed During the Early Modern Period, Nuncius, 29, 2014, 127–174). Matteo Valleriani's current major project is concerned with the evolution of the scientific knowledge system in thirteenth to seventeenth century Europe, centring on cosmological knowledge. In the context of digital humanities, he implements methods of social network analysis in history writing. His research moreover extends the implementation of the approach used to explore mechanisms of diffusion of knowledge also to studies dedicated to the role of Aristotelian knowledge in all cultures and epochs, in which this played a relevant role.